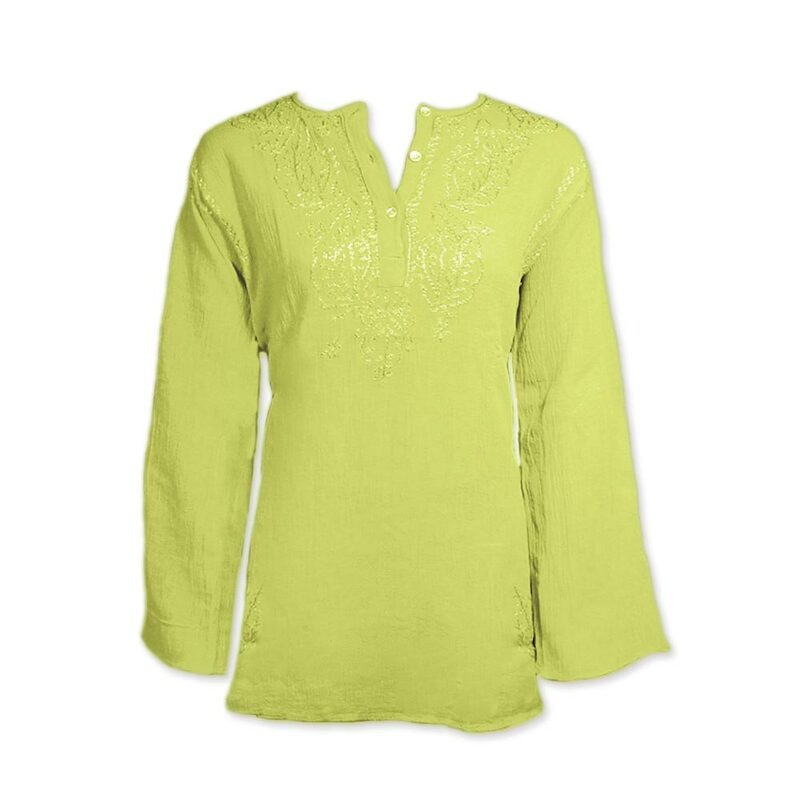 Casual and comfortable, these lime green classic Indian kurta blouses are great for everyday wear or beach cover ups. 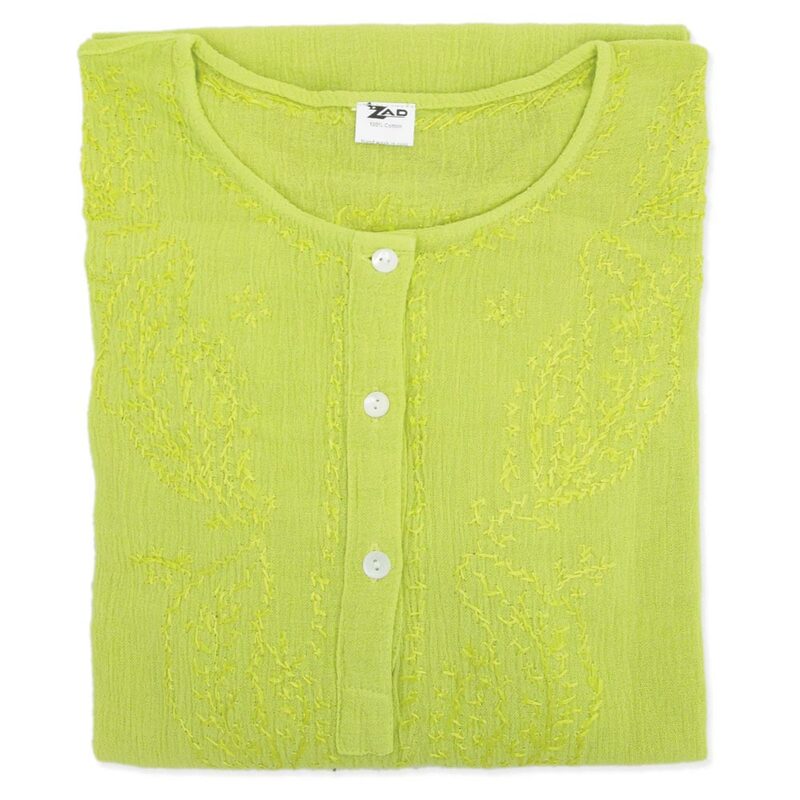 Hand embroidered, 100% cotton crepe. Size M/L.